Fabric Engineering is one of the basic textile engineering branches with its large application in weaving, knitting and non-woven. The purpose of this department is to develop engineers who, in combination of their knowledge, skills and latest technologies, can face challenge of the market and ensure product quality to meet the demand of the time. As a mother institute of the textile education in Bangladesh, we feel proud to know the success story of the sector in terms of one of the largest RMG exporting country and alongside feel responsible for the stability of this success. Hence we maintain close relation with industries to know what they are going to face and try to mend the gap by updating our courses and thereby our graduates. The result is before you. At present we are offering B. Sc. in Textile engineering and M. Sc. in Textile Engineering degrees. I welcome you to be one of us and on behalf of all the academicians; I wish all the success for your academic life and professional life as well. Since the department of Fabric Engineering is responsible for developing fabric expert so that they can renovate, shape up and lead the sector with ensured sustainability, we are very careful about its course structure and relevant infrastructure. At present it is offering B. Sc. in Textile Engineering (Fabric) and M. Sc. in Textile Engineering (Fabric). The department at present owns a number of core laboratories. They are Weaving Preparatory Process Lab, Weaving Lab, Knitting Lab, Fabric Structure and Design Lab, Fabric Testing Lab and newly installed CCI lab. To keep pace with the coming market, it is going to set up full scale Non-wovens Lab soon. All the laboratories are well equipped and arranged in an order such that students gradually come up with the technologies and develop confidence so that they can exploit the technologies to bring out the best while they are in the professional life. Besides the in-house laboratory, we keep close contact with the industries and make frequent visits with students. The Department of Fabric Engineering is visionary to contribute textile sector by research and knowledge development. Providing updated curriculum that keeps pace with the latest textile technology. Introducing innovative educational practices and multi-disciplinary research activities through the entity. Provide visionary leadership and collaborative services to the university, country and global communities. Provide knowledge based technological services to satisfy the needs of society and industry. Emphasis on the development of communication, behavior, attitude and presentation skill of the graduates. Engaging in worldwide co-operation with direct and close contacts among scientific institutions outside of the academic community, industries and cultural institutions. Providing high-impact experiences and learning opportunities that promote scholarly growth, artistic value and self-awareness, personal development, group work, and critical and creative thinking. Providing advising, training, and tutoring services that empower students to be self-directed. Optimal uses of university resources and capabilities. Developing standards of assessment for student performance. Contribution to cultural activities of the country. Professor Dr. Belal is an experienced and qualified Textile teacher with over 22 years of experience in providing the vision and teaching required to ensure a high quality of education for pupils. He is a committed and dedicated professional with a proven ability to teach, motivate and direct students to maximum performance by encouraging a positive and energetic environment. He is now working as Dean, Faculty of Textile Engineering and Director of Student Welfare. Prior to this, he has led the Department of Fabric Engineering as Head of the Department. 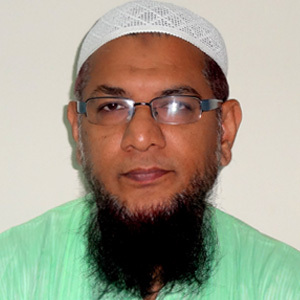 He is a Fellow of the Textile Institute, Manchester, UK, Life Fellow, Institute of Engineers of Bangladesh (IEB) and Life Member, Institute of Textile Engineers and Technologists (ITET), Bangladesh. Dr. Belal owns a very attractive record throughout his academic track. He has achieved his PhD from University of Manchester, UK in Textile Science and Technology. He has also obtained his Master of Philosophy (MPhil) in Textile Science and Technology from University of Manchester Institute of Science and Technology, UK. Prior to this, he completed Master of Science (MSc) in Textile Engineering from University of Ghent, Belgium with Honors marks. He had completed his B. Sc. In Textile Technology from University of Dhaka, Bangladesh with first class 2nd position. Alimuzzaman, R. H. Gong, and M. H. Akonda, “Nonwoven Polylactic Acid and Flax Biocomposites”, Polymer Composites, 2013, Volume 34, Issue 10, Page (1611 – 1619). Alimuzzaman, R. H. Gong, and M. H. Akonda, “Impact Property of PLA/Flax Nonwoven Biocomposite”, Hindawi Publishing Corporation, Journal of Conference Papers in Materials Science, Volume 2013, Article ID 136861. Alimuzzaman, R. H. Gong, and M. H. Akonda, “Three-Dimensional Nonwoven Flax Fibre Reinforced Polylactic Acid Biocomposites”, Polymer Composites, 2014, Volume 35, Issue 7, Page (1244 – 1252). Alimuzzaman, R. H. Gong, and M. H. Akonda, “Biodegradability of Nonwoven Flax Fibre Reinforced Polylactic Acid Biocomposites”, Polymer Composites, 2014, Volume 35, Issue 11, Page (2094 – 2102). Nonwoven Flax Fibre Reinforced PLA Biocomposites, 1st International Conference on Natural Fibres – Sustainable Materials for Advanced Applications, University of Minho, Guimaraes, Portugal, 9th, 10th and 11th June 2013. Mechanics of Loop Formation in Knitting, 1st International Textile Conference NED 2014, NED University of Engineering and Technology, Karachi, Pakistan, 13th March 2014. Understanding Textiles for A Merchandiser, 2009. - Published by BMN Foundation, Dhaka, Bangladesh. Structure and analysis of cloth, - Published by Bangladesh Technical Education Board. Fabric Manufacturing Technology – III, - Published by Bangladesh Technical Education Board. Knitting – I, - Published by Bangladesh Technical Education Board. Knitting – II, - Published by Bangladesh Technical Education Board. Kazi Sowrov, Assistant Professor, Department of Fabric Engineering under the Faculty of Textile Engineering, is specialized in weaving technology with expertise in advanced & 3D weaving, woven fabric structures & properties, optimization of machine settings, textile composites, nanotechnology, technical textiles , product design and development, clothing phenomena for different communities, aesthetic and comfort properties of fabrics, modeling of fabric structures, impact of finishing on fabric properties. He joined in Bangladesh University of Textiles in 2011. He is very dedicated to her profession. He conducts different courses in undergraduate level. He also supervises thesis works at both bachelor & master’s Level. Besides his academic works, Kazi Sowrov also serves at different governmental & nongovernmental organizations as external members. Currently he is an honorable member of handloom product standard committee at BSTI & machinery inspection committee at Department of Textiles, GoB. Additionally he is acting as Assistant Hall Provost, Shahid Abdul Aziz Hall of the University. Mr. Sowrov has completed his M.Sc. in Textile Engineering(Fabric engineering) from Bangladesh University of Textiles in 2015 with remarkable academic performance. He has also achieved his B.Sc. in Textile Technology degree with specialization on Fabric Manufacturing from College of Textile Technology, University of Dhaka in 2010. He acquired industrial experience from a renowned textile industry of Bangladesh named Thermax Yarn Dyed Fabrics Ltd. Comparative study of woven fabric properties made from regular ring spun, compact & SIRO spun yarn. Journal of Textile Engineering (JTE), IEB; April 2015. Comparative Analysis of Ring, Compact and SIRO Spun Yarn. Journal of Textile Engineering (JTE), IEB; April 2015. An Investigation on the Variation of Woven Fabric properties Made from Ring Spun, Compact and SIRO Spun yarn, ICMIEE’2014, KUET, Bangladesh. Study on the effects of back rest roller height of warp yarn breakages with asymmetric sheds.ICMIME’2015, RUET, Bangladesh. Analysis of the effects of shed crossing timing angle on the pick density of woven fabrics. ICMIME’2015, RUET, Bangladesh. With the apparition to be an outstanding academic and research scholar, Mr. Md. 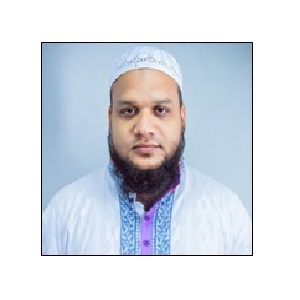 Abdullah Al Faruque is currently serving as Assistant Professor in the Department of Fabric Engineering in Bangladesh University of Textiles. He joined the Department of Fabric Engineering in January, 2013. Previously Mr. Faruque worked as Lecturer in Primeasia University (PAU) for two years where he taught in the areas of Fabric Engineering, Technical Textiles, Fabric Structure & Design and so on. In the beginning of his career, he worked as Production Officer (Production and Research & Development) in Akij Textile Mills Limited. 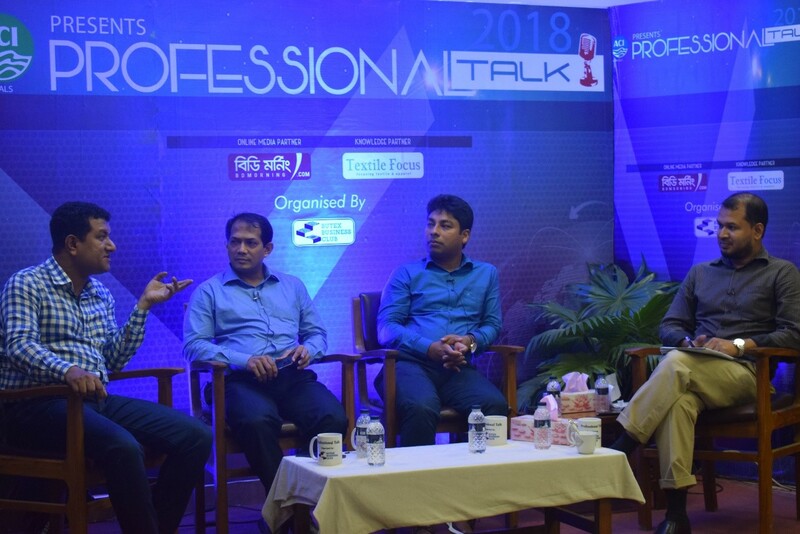 In addition, Mr. Faruque works as Technical Consultant and Trainer at the Centre for Sustainable Solution (CSS), an organization for sustainable development to textiles and clothing business, engineering, technological and academic fields. He has published and presented several scientific and technical research papers in peer reviewed journals. 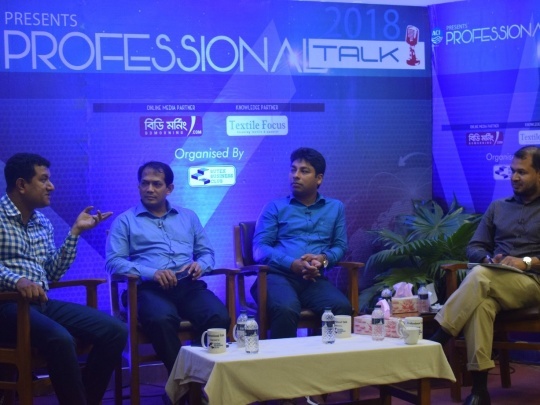 Mr. Faruque is the professional member of The Institution of Engineers, Bangladesh (IEB) and Institution of Textile Engineers and Technologists (ITET). His teaching and research interest includes: Weaving Preparatory Process, Conventional & Modern Weaving, Fabric Structure & Design and Technical Textiles. His outmost interest is in developing Technical Textile sector in Bangladesh especially Medical Textile, Sports Textile and Protective Textile. He joys sharing his insightful knowledge, experiences and research activities with the students and fellows. From the beginning he has been the advisor and member of Badhan (Voluntary Blood Donor’s Organization in Bangladesh) in BUTEX. Travelling, reading, playing cricket and table tennis, outings with family members and friends are the main activities of his leisure time. Mr. Faruque has outstanding academic records. He completed his both M.Sc. and B.Sc. in Textile Engineering with specialization in Fabric Engineering from Bangladesh University of Textiles with admirable results. He achieved the board scholarship for good results in both H.S.C & S.S.C examination. He has very extraordinary score in International English Language Testing System (IELTS) with Band 9 in Listening. After completing his graduation from Bangladesh University of Textiles (former College of Textile Technology) Mr. Faiz started his career as production officer in Knitting Section of Knit Asia Ltd, Gazipur. Then he changed his section and joined as production officer, Dyeing Section in Uttara Knitting and Dyeing Ltd, Jirani Bazar. He also served as Senior Executive in Dyeing and Finishing Section of Bengal Hurricane Dyeing and Printing Ltd, Rajendrapur. With two years of experience in production, in 2007 he joined as lecturer, Textile Engineering Department in Primeasia University, Banani, Dhaka. In 2009 he changed to National Institute of Textile Engineering and Research (NITER), Savar as senior lecturer. Mr. Faiz has designed the overall operations and training protocols for Skills for Employment Investment Program (SEIP) of BTMA wing and was involved in implementation of the overall operations of the first phase of SEIP-BTMA. 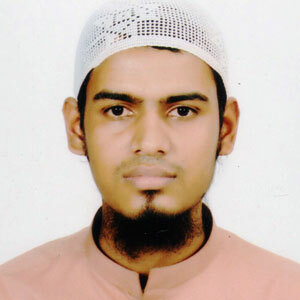 In June 30, 2015 Mr. Faiz has joined in Fabric Engineering Department of Bangladesh University of Textiles (BUTEX). Mr. Faiz has completed his SSC from Mangal Kandi High School, Sonagazi, Feni and got admitted in Notre Dame College, Dhaka for HSC. He has completed his B. Sc. in Textile Engineering from Bangladesh University of Textiles (BUTEX). In 2011 with the sponsorship of UNIDO he had an educational visit in Spain and closely came in contact with world renowned fashion house Zara and Mango. He went to United Kingdom in September 2012 with the United Nation’s Industrial Development Organization’s (UNIDO) scholarship and completed his M. Sc. on Technical Textiles from the University of Bolton. Faisal Abedin has joined in Bangladesh University of Textiles as a Lecturer in the Department of Fabric Engineering on May, 2016. After his graduation, he had his job as a Researcher & Developer of knit fabrics at SQUARE FASHIONS Ltd. (The leading knit fabric manufacturer in Bangladesh). His special interest and expertise is known to be in jacquard knitting area. With an experience about 1.5 years in knit fabric development, he has accomplished his position as lecturer in the Department of Textile Engineering at BGMEA University of Fashion & Technology since June 2014 to May 2016. The glorious academic career of Mr. Abedin has been intensified by the nomination for the ‘PRIME MINISTER GOLD MEDAL AWARD-2016’ for his academic excellence during the session 2012-2013. Faisal Abedin holds B.Sc. in Textile Engineering degree from the Bangladesh University of Textiles with securing C.G.P.A. 3.82 (out of 4.00) 1st class 1st position in the faculty of Textile Manufacturing Engineering. His specialization was in Fabric Engineering. Now he is enrolled in Master’s in Fabric Engineering from BUTEX. Prior to Bachelor degree, he had also a glorious academic life. He achieved G.P.A.-5.00 in both Higher Secondary School Certificate examination and Secondary School Certificate exam from Chittagong College and Chittagong Cantonment Public School respectively. He was also the winner of Government scholarship for his board results. After completing his graduation, Mr. A.K.M. 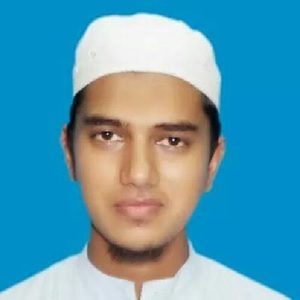 Ashiqur Rahman Mazumdar stared his career as an executive (knitting production) in Square Fashions Ltd (the leading knit fabric manufacturer of Bangladesh) in April 2012. After 3 years of his profession, he joined in Noakhali Textile Engineering College, Begumganj, Noakhali and later in Bangabandhu Textile Engineering college, Tangail under the Ministry of Textiles and Jute of Bangladesh Government as a lecturer on May, 2015 by securing selection from 33rd BCS non-cadre. 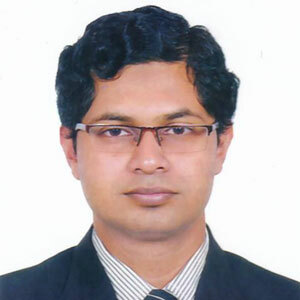 After that he joined as Sector Specialist (Textile) in Duty Exemption & Drawback Office (DEDO) of Internal Resource Department under the Ministry of Finance of Bangladesh Government on September, 2015. Finally he joined in Bangladesh University of Textiles as a lecturer in Fabric Engineering Department on May, 2016. Mr. Mazumdar has completed his B.Sc in Textile Engineering (with specialization in Fabric Engineering) from BUTEX in 2012. He is now continuing his M.Sc from same the same university. He completed his S.S.C. from Hajigonj Pilot High School under Comilla Board and H.S.C. 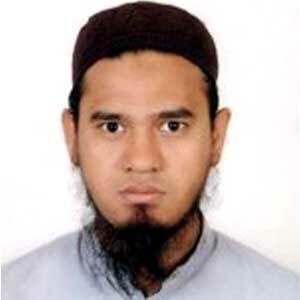 from Dhaka Residential Model College under Dhaka Board with golden GPA-5.00 on 2004 & 2006 respectively.He was also provided with primary & junior talentful scholarships. 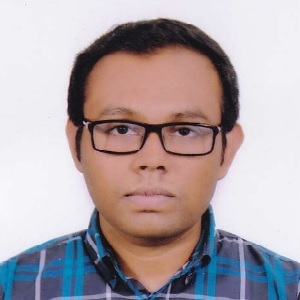 Md.Abdullah Al.Mamun is now serving as a lecturer, department of Fabric Engineering at Bangladesh University of Textiles (BUTEX). He joined here in May, 2016. 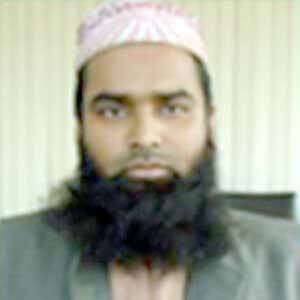 Prior to this, he worked at National Institute of Textile Engineering and Research (NITER) as a lecturer.He also worked at EVINCE Textiles Ltd. (The leading woven fabric manufacurer of Bangladesh) as a producton officer before joining at NITER.His interest is in the nonwoven sector of Bangladesh. 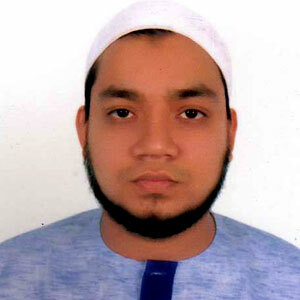 Md.Adullah Al.Mamun is now enrolled in masters (Fabric Engineering) in BUTEX .He completed his B.Sc. in Textile Engg. degree with spcialization in Fabric Engg. from BUTEX. He acquired industrial experience from a renowned tetile industry named SQUARE fashions ltd. prior to bachelor degree, he had also a glorius academic life. He had completted his H.S.C & S.S.C from Notre Dame Collage & Modhupur Shahid Smrity High School respectively. With the apparition to be an outstanding academic and research scholar, Md. 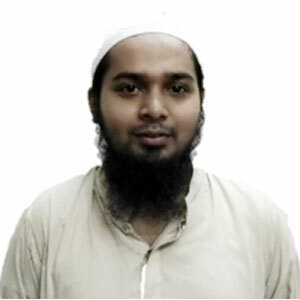 Aswad Al Haque Sarker is currently serving as lecturer at the Department of Fabric Engineering in Bangladesh University of Textiles. He joined in the Department in 18 th September, 2016. Previously. In the beginning of his career, he worked as Production Officer in Jinnat knitwear Ltd. (A Concern of DBL GROUP) for about one year. He enjoys sharing this depth of knowledge and experience with his students and takes pride in empowering the next generation of textile professional. Mr. Aswad possess very distinguished and speculative academic record. He completed his B.Sc. In Textile Engineering with specialization in Fabric Engineering from Bangladesh University of Textiles. He is now perusing his M.Sc. in Textile Engineering from this department and now working on his thesis part under the supervision of respected professor. He achieved the board scholarships in HSC and was awarded junior scholarships. Md. 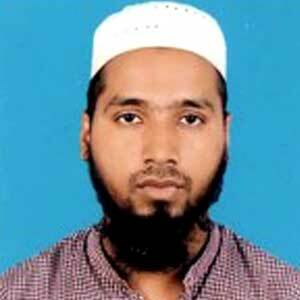 Jawad Ibn Amin has joined in Bangladesh University of Textiles as a Lecturer in the Department of Fabric Engineering on August, 2017. After his graduation, he had his job as a Production Officer (weaving) at NOMAN Terry Towel Mills Ltd. (The leading and largest woven fabric manufacturer in Bangladesh).His special interest and expertise is known to be in terry weaving area. With an experience about 1.5 years in terry weaving production, he has joined as a Production Officer (Weaving) at EVINCE Textiles Ltd. (The Leading Yarn Dyed Woven Fabric Manufacturer of Bangladesh), since January 2016 to August 2017. Weaving machinery & their maintenance. Biodegradable Agro-textile & Environmental issues regarding textile industries. Md. Jawad Ibn Amin has started his M.Sc. (Fabric Engineering) in BUTEX .He has completed his B.Sc. in Textile Engineering Degree with specialization in Fabric Engineering from BUTEX. He acquired industrial experience from a renowned textile industry named SQUARE Knit Fabrics Ltd. prior to bachelor degree, he had also a glorious academic life. He had completed his H.S.C & S.S.C from Shahid Sayed Nazrul Islam College & Mymensingh Zilla School respectively. Mr. A.N.M. Masudur Rahman, after completing graduation, started career as an executive (weaving) in Evince Textiles Ltd. in August 2006. 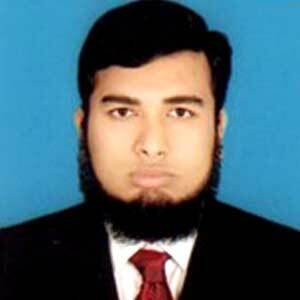 After 1 year and 5 months of his profession, he joined as a Lecturer, Department of Textile Engineering, Daffodil International University, Dhaka and later in the Department of Textile Engineering, Ahsanullah University of Science and Technology (AUST) as a Lecturer on October, 2008. After that he joined as Assistant Professor in the same department of AUST on October, 2011 and continued his service up to September, 2017. Finally he joined in Bangladesh University of Textiles as a Lecturer in Department of Fabric Engineering on October, 2017. Polymer and Nano composite materials. 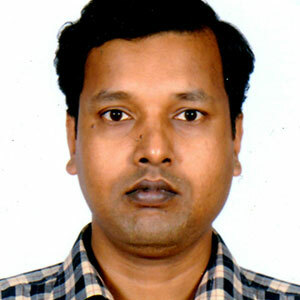 Mr. A. N. M. Masudur Rahman completed his M.Sc. in Textile Engineering (Department of Fabric Engineering) from BUTEX in the year of 2017. He has completed B.Sc. in Textile Technology Degree with specialization in Fabric Manufacturing from the same institution at 2004. He acquired industrial experience from a renowned textile industry named Evince Textile Ltd. and also gathered teaching experience from some famous universities. He completed his H.S.C & S.S.C from Dhaka College & Rani Bilash Moni Govt. Boys High School respectively. After completing his graduation from Bangladesh University of Textiles, Mr. Faisal started his career as Management Trainee in Research and Development Department of Epyllion Group (Epyllion Fabrics Limited, Gazipur). With one year of experience in Research and Development Department, in 2018 he joined as Lecturer, Department of Fabric Engineering in Bangladesh University of Textiles. Mr. Faisal has completed his SSC from Joginimura High School, Sherpur and got admitted in Notre Dame College, Dhaka for HSC. He has completed his Bachelor of Science in Textile Engineering (Fabric Manufacturing) from Bangladesh University of Textiles. 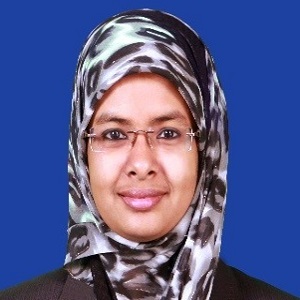 Shamima Akter Smriti, a highly dedicated, enthusiastic and resourceful teacher specializing in fabric Manufacturing has joined as Lecturer in the Department of Fabric Engineering, Bangladesh University of Textiles (BUTEX) on December 2018. She has a solid commitment to create a classroom atmosphere that is stimulating and encouraging to students and inspired them to pursue academic and personal excellence. She is also a warm and caring teacher who wants all her students to be a life-long learner. She started her early career as a Management Trainee in Fakir Apparels Group from May 2012 to September 2012. Then she served in Micro Fibre Group almost two years as a Production Engineer in Lab. In 2014, she has started her teaching career as a Lecturer in the Department of Textile Engineering, Daffodil International University and promoted to a Senior Lecturer in October 2016. 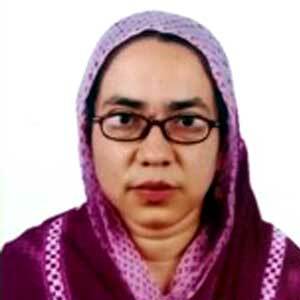 During her serving, she has published a number of peer-reviewed research papers that are indexed in Scopus. She was also an active Member in Self-Assessment Committee (SAC) for IQAC of the same department, from 2016 to 2018 and arranged more than 15 workshops under SAC. She actively participated in surveying feedback of different stakeholders like alumni, employers by visiting about 20 textile factories and prepared Self-Assessment report. Her cooperation and dedication greatly helped the department to achieve VERY GOOD grade by the External peer review team. She also worked in the curriculum development committee, disciplinary committee, exam committee and class routine committee of the department. 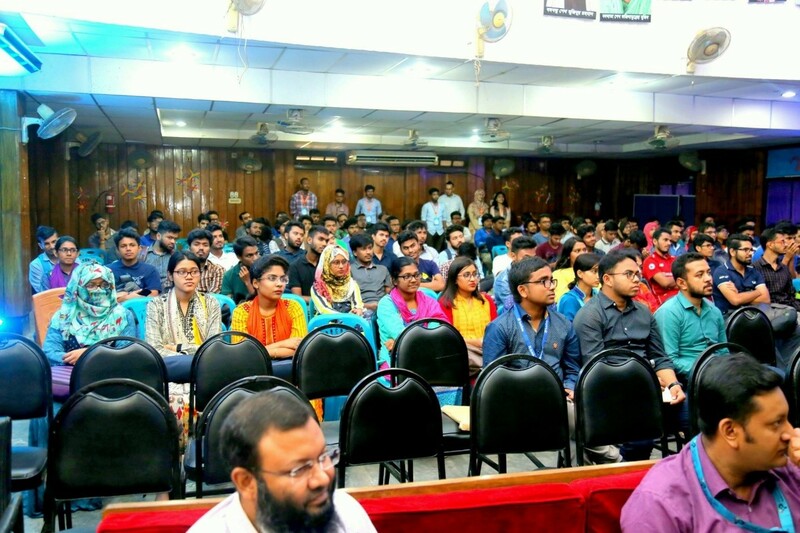 She got training on Teaching-Learning, Curriculum and Quality Assurance from GTI (Graduate Training Institute), Mymensingh, Pedagogy and Assessment on Bloom’s Taxonomy, Research Methodology, SPSS, Employability and Soft skills from IQAC, Daffodil International University. Artificial Intelligent specially Fuzzy Logic, Artificial Neural Network, ANFIS. Application of fuzzy model in textile field. Modelling and soft computing method used in textile field. Three thread fleece fabric, Polar fleece. Waste minimization in knitting and weaving floor. Composite, Geotextile, moisture transport mechanism in sportswear. Application of Nanotechnology in textile field. Renewable energy in textile industry. Sustainable development in knitting and weaving sector. Pedagogy and assessment on Bloom’s taxonomy. M.Sc. in Textile Engineering (Fabric Manufacturing) has been completed from Bangladesh University of Textiles (BUTEX) on 2017. Thesis: Prognosticating the dimensional attributes of single jersey knitted fabric by Fuzzy Inference System. B.Sc. in Textile Engineering (Fabric Manufacturing) has been completed from BUTEX (2012) securing 1st class 3rd position. H.S.C has been completed from Ideal School and college, Motijheel, Dhaka (2006). S.S.C has been completed from Jurain Ashraf Master Adersha High School. Prediction of whiteness index of cotton using bleaching process variables by fuzzy inference system”, Fashion and Textiles, 2018, 5:4, pp 1-13, publisher: Springer. Indexed in Scopus. "Fuzzy modeling for prediction of bursting strength of cotton knitted fabric using bleaching process variables" AATCC Journal of Research, Publisher: AATCC,2019,6(1),pp 29-37.Indexed in: Scopus and ESCI (by Clarivate Analytics, ex-Thomson Reuters). 'Comparative enactment of formaldehyde-free and formaldehyde-based cross-linkers on cotton woven fabrics', Tekstilec, Vol- 60(2), page 107-115, 2017. Scopus and Clarivate Analytics indexed. "Kinetics and Thermodynamics of Silk Dyeing with Turmeric Extract", AATCC Journal of Research, Publisher: AATCC, 2018, 5(3), pp 8-14. Indexed in: Scopus and ESCI (by Clarivate Analytics, ex-Thomson Reuters). Reflectance Value and Yellowing Propensity on Thermal and Storage Condition of Cotton Fabric Treated with Different Softeners, International Journal of Current Engineering and Technology, (IJCET), eISSN: 2277-4106 | pISSN: 2347-5161, Volume No.5, Issue No.1, pp : 507-511,28 Feb 2015.